Bernie Madoff's secretary has been living in the lap of luxury in Boca while her former boss rots in jail. Bernie Madoff's personal secretary has been tracked down in Boca Raton living high on the hog in a $1 million home in a posh gated community, but her luxurious lifestyle may soon bring the law down on her. Annette Bongiorno, a longtime associate of Madoff who has worked for him for over four decades, has been keeping a low profile in the Sunshine State as Madoff's world crumbles, but Fox 5 New York's cameras managed to track her down. When confronted, Bongiorno refused to comment. Aside from her Boca mansion, it appears Bongiorno did pretty well for herself while a member of Madoff's firm. She also owns a $2.6 million mansion on Long Island, two Mercedes and a Bentley. Not bad for a secretary, but those pricey items may have gotten her in hot water. "Annette Bongiorno has millions of dollars of assets that the prosecutors have viewed as a red flag," Robert Heim, a former prosecutor, told Fox 5. "Her luxury homes, her luxury cars are certainly going to be an item for close scrutiny by the prosecutors because she was a secretary and she's going to have to answer why she was making so much money from the Madoff firm and how she could not have known it was a criminal fraud." 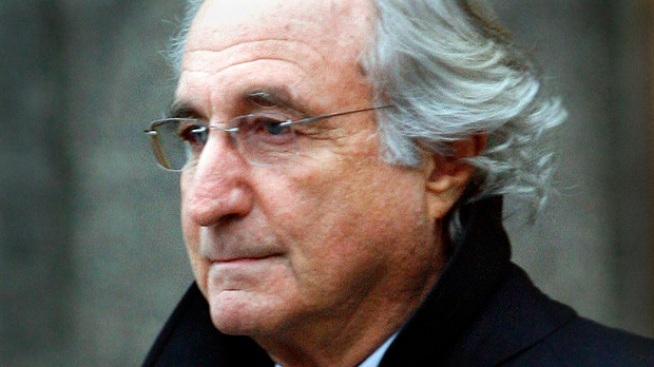 While Madoff and his accountant have been busted for their part in the massive Ponzi scheme, Bongiorno has yet to be charged, though that could change soon. "The evidence that's lined up so far shows Annette Bongiorno was a key participant in the whole operation of Bernie Madoff," Heim said. "The key for prosecutors is showing she knew that she was involved in a criminal fraud," Heim said. Two of Bongiorno's assistants have reportedly described how they were instructed to research daily share prices for blue-chip stocks from the previous month, then generate bogus trading tickets, according to Fox 5. The tickets made customer statements look legitimate with current, more accurate stock numbers.